Gather in the souls. Each soul is a light to burn brightly for Christ, the Chief and Source of Light. Fret not about the thickening darkness. 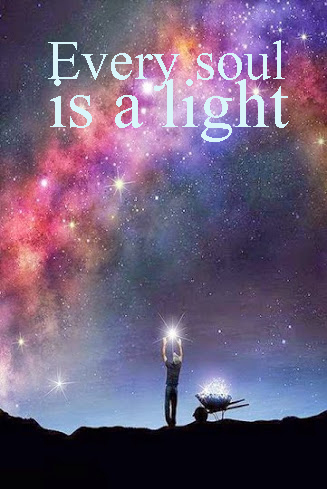 No matter how tiny your light, no matter how overwhelming the darkness appears to grow, your light will be seen. Don’t run away from the world and hide like hermits. To the contrary, get out more and more into the world and let your light shine. The easier it gets to get into sin, the more desperate people will become. The more desperate they become, the more they will want Christ. We Christians will be there to rescue them. Good luck — if you wish to find peace in the world. True peace can be found in God. Peace I leave with you; my peace I give you. I do not give to you as the world gives. Do not let your hearts be troubled and do not be afraid. — John 14:24. As much cool stuff as I’ve done, I don’t get paid to blog. I also don’t get paid as a high school teacher at a small private Christian school. So I’m asking for a little bit of help to get to Guatemala, to the church my wife and I founded starting 20 years ago. I haven’t checked airfares yet, but it’ll probably be $750. I’m asking you to support me http://www.gofundme.com/MikeToGuatemala. I totally understand if you don’t have any spare cash to help out (that’s the way I am! :D). But maybe some of you guys can help. I really appreciate it! He stole cars. Then Jesus stole his heart. With his wife and two of his four children at the Tucson Door Church Bible conference. 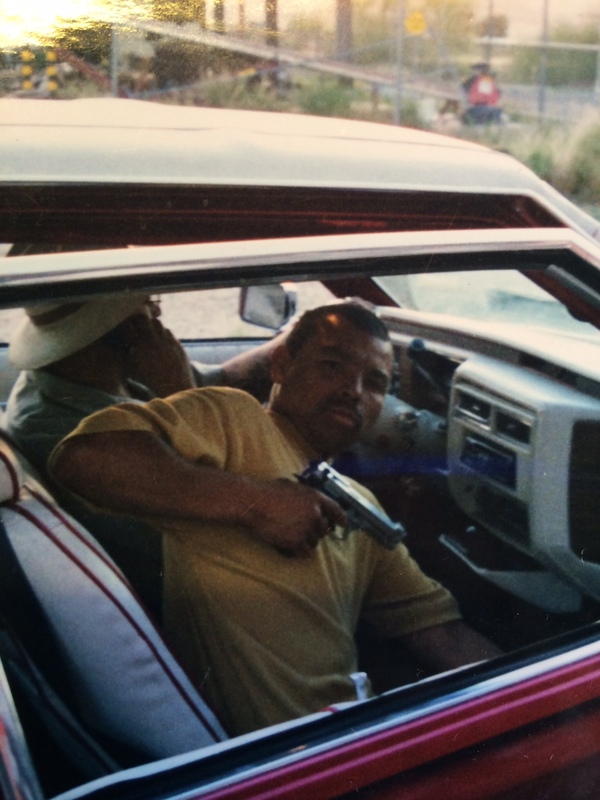 By age 14, Rosario “Chayo” Perez was stealing pickup trucks from Tucson and bringing them across the border, where mafiosos paid him $1,000 each. When Chayo was 16, his best friend was murdered at his house on Christmas day. The killer was looking for Chayo to avenge some wrong. “But my friend took the hit and got killed,” he remarks grimly. Once a group of fellow hoodlums, seeking revenge, left a man bloodied and nearly dead. Then his older brother, Alex, got saved at a church that street-preached and evangelized earnestly. Then one time, Alex found Chayo drinking beer with his buddies. It was embarrassing for Chayo. The other guys started to make fun of Chayo for his brother. Chayo threatened him and told him to leave him alone. “He said, ‘Ok,’” Chayo recalls. “’But let me pray for you and if nothing happens, I’ll leave you alone.’ I put my beer down. He prayed for me, and the Holy Ghost came down. I started weeping. My friends were freaking out because I was weeping. It was something supernatural. Even to this day, I can’t explain it.” Read the rest of the article. This is a tough one because Jesus spent most of his time upbraiding his disciples for not having enough faith. So faith was very nearly the characteristic he most cultivated. So to dismiss faith’s importance borders on heresy. 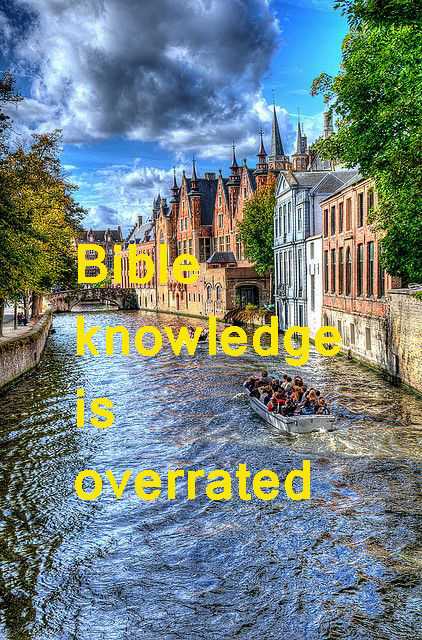 Faith is not unimportant! It is just lesser important than love. Paul is resetting Corinthian theology, which was heavy on the sizzle and bang of show-off spiritual gifts. He forms a chaismus with chapter 12 and 14 talking about spiritual gifts. Then he says: But I will show you a better way. In the middle, he talks about love. In the middle, then, Paul says, Though I have all faith, so that I could remove mountains, and have not love, I am nothing. — 1 Cor. 13:2. In Christianity, love is the pinnacle of perfection. Holiness is not so much resisting temptation as it is having compassion on those who have fallen into temptation. Raymond Lull sought to be stoned, so he went to an Islamic country and street-preached. Goal attained. Why did he actively pursue martyrdom? Because Medieval Christians promulgated the myth that martyrs have the surest entrance into Heaven. The idea was so widely embraced that people born into Christendom would live for the devil all their lives and then seek martyrdom at the end, thinking they would thus be assured Heaven. Martyrdom is overrated. It’s not the apex of Christianity. The quintessence of Christianity was shown yesterday by family members of the nine South Carolina victims of race-hater killer Dylann Roof when they addressed him in court and forgave him. Love is Christianity’s highest virtue, its greatest sign of maturity, its most vaunted ideal. Raymond Lull would have done better to keep living and serving Jesus. When I spotted this, I pulled over rashly, recklessly. 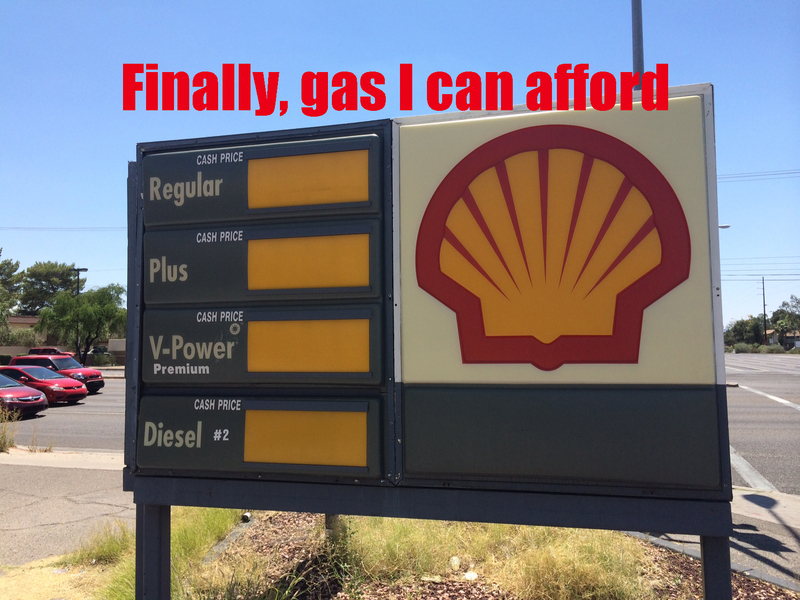 Finally, gas I can afford! I wish gas were like salvation: free.